7cm wide by 205 – 210cm long. 100% cotton, hand-woven & plant dyed in Timor-Leste by LO’UD Cooperative weavers. The colours of ‘Rose Garden’ are inspired by Fragments of foreign rose-garden plants, rock walls and fountains. 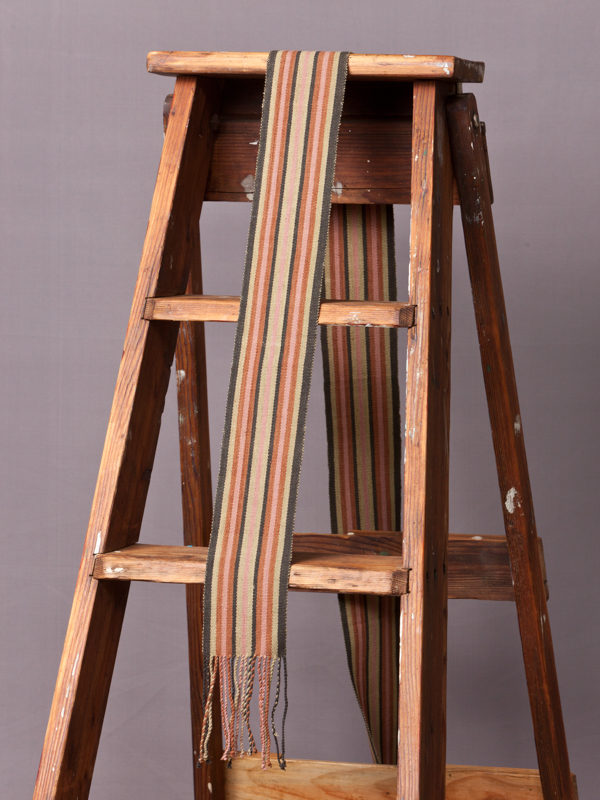 Stripes are the simplest patterns for hand-weavers to create. Our textiles fuse traditional & contemporary design. SKU: RG-S-6. Category: Scarves. Tags: 6cm, Black, Brown, cotton, Green, natural dye, Pink, selendang, skinny, Stripes.